Was it nerves or morning sickness? I couldn’t be sure. All I knew on that dreary December afternoon in 2011 was I might throw up at any minute. This was the day I’d chosen to deliver the news to my company that they’d need to plan for my maternity leave. I’d already told my direct boss, whom I considered a friend. That part was easy. When she asked if I wanted her to deliver the news to the higher-ups on my behalf, I told her no, thanks—I’d do it myself. I walked right into the next office and plopped down to make an announcement, only to realize I had no idea what to say to this particular higher-up. I suddenly felt like I was a teenager telling my dad I’d wrecked the car or something. I opened my mouth, hoping for words and not vomit. I know, really. Who says that? But that’s what came out of my mouth. Better than vomit, I guess. “You’re… expecting?” He furrowed his brow. I’ve often wondered if that would’ve worked. Part of me regrets missing the opportunity to walk into the office unannounced and say, “I’m expecting a raise.” I’m curious about what would’ve happened. But I digress, because that’s not what this little anecdote is about. This is a story about expectation. See, I soon learned something about the word expecting. 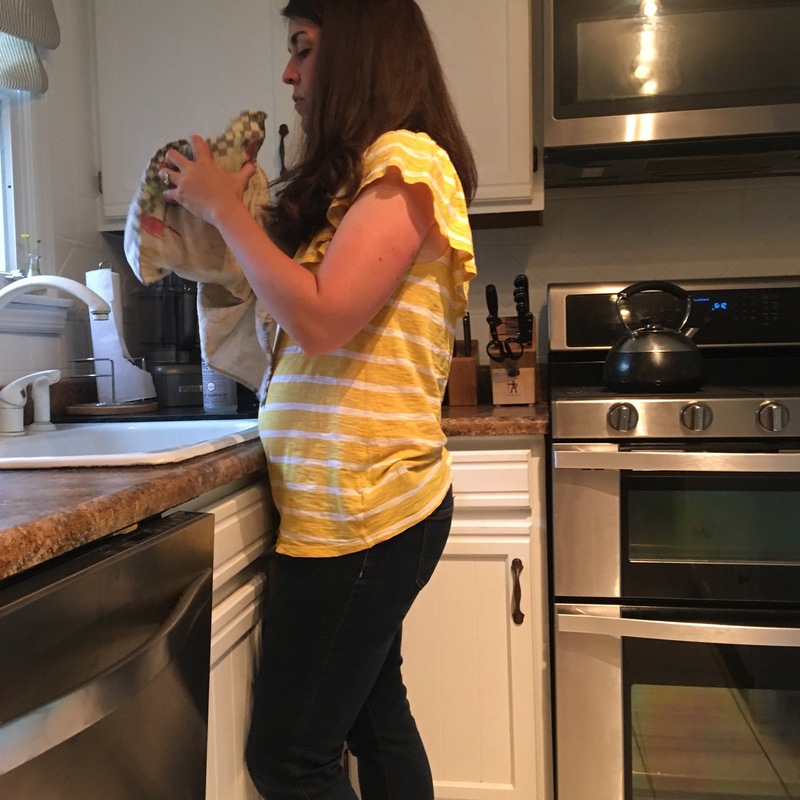 I learned that everything I expected about having my first baby—a gorgeous, six-pound little girl—was off by about a mile. I didn’t expect to be kicked out of the hospital when I was in labor because I was too happy. True story, I was told to go home and come back when I was smiling less, because the labor and delivery floor was too busy for happy mothers-to-be. By the time I returned six hours later, I was indeed less happy. I was more than seven centimeters dilated and I said some unkind (and unexpected) things to the intake worker. She was right. Day by day, I got used to loving this little human so much it was scary. The love didn’t lessen, but I learned to live with it as my new normal. I learned to lean on God so much more. I didn’t expect to have such a daily desperate need for His presence, but I did then and years later, I still do. I didn’t expect the most mundane moments to become my most precious memories. Like the day I was sitting on the floor folding laundry and that sweet little baby girl learned to say the word, “happy”. She said it over and over again, rolling around in a pile of clothes and trying out her new word. Happy. Yes, we were. I am six-and-a-half years into being a parent. I know it’s not very long, relatively speaking. But it’s long enough to know one thing for sure: when it comes to expectations, I’ve learned to expect the unexpected. Very recently we became a licensed foster home. This was a result of years of God orchestrating little specific nudges to point us in this direction, along with confirmation from His Word (Matthew 18:5, James 1:27, etc.). I’m so excited, and admittedly a little nervous, too. Part of me still can’t believe it’s real. 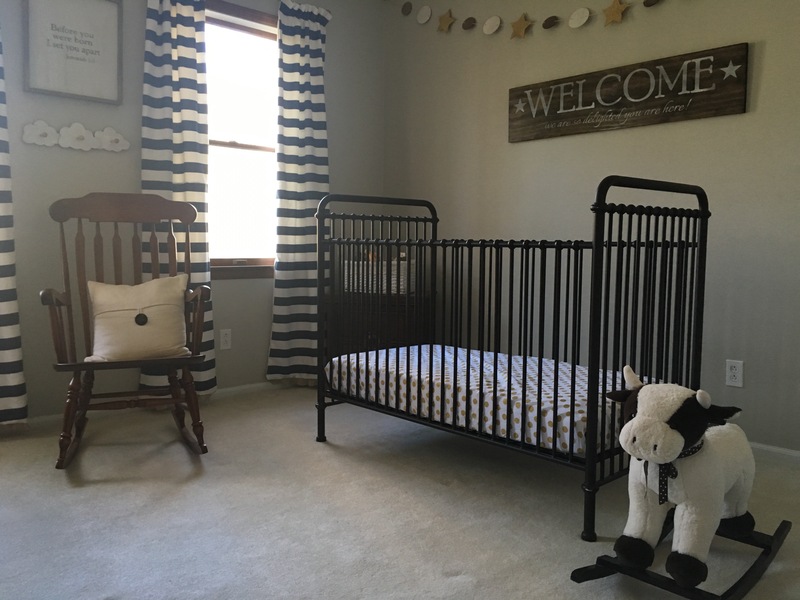 Right now, there is an empty crib in our home. Any day, any minute really, we’re expecting to receive a phone call about the tiny person who will be the first one to sleep in that crib. This time, we know with certainty that we don’t quite know what to expect. We’ve been told to expect it to be busy, with lots of people coming in and out of the house, especially at first. We’ve been told to expect it to be difficult, for all sorts of reasons. We’ve been told to expect a strange combination of joy and heartbreak, which can’t quite be explained, only experienced. We’re expecting the unexpected, to say the least. There’s one thing, though, that we’re confidently expecting. We’re expecting God to show up. We’re expecting Him to carry us through the exhaustion, to comfort us in the heartbreak, to guide us through the uncertainty, and to provide a hope and a future for the little one(s) placed in our care. I’m pushing a lighter load these days. I don’t mean that in the figurative sense. I mean, literally, I’m pushing a lighter load. 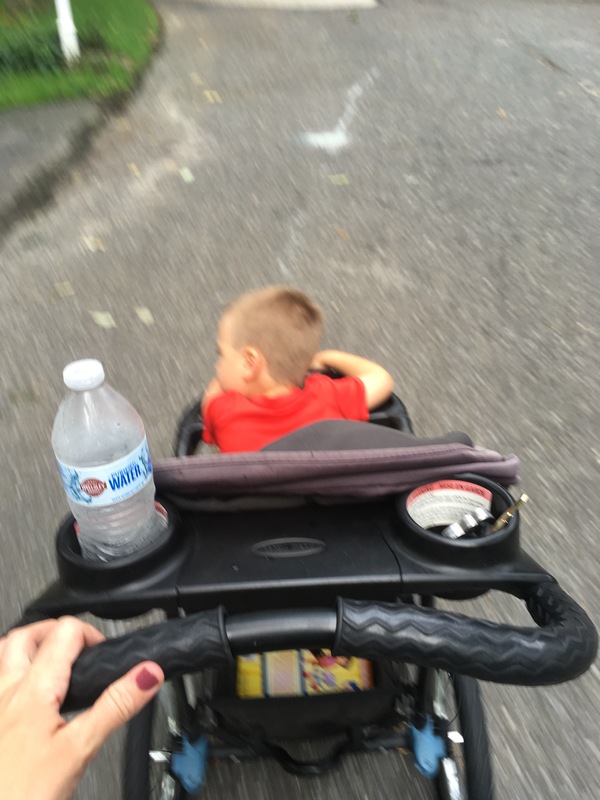 This is because my oldest child recently went to full-day kindergarten, and now when I get the chance to sneak in a jog during the day, I push a single stroller rather than a double. It was such a remarkable moment for me, I took this rather unremarkable photo of a blurry kid being pushed along in a hand-me-down jogging stroller. I’ve been looking at this photo from time to time, because it reminds me to keep my load in check. See, I have a tendency to weigh myself down with more than I need to push. I have a tendency to pile worry upon worry on my shoulders, then wonder why it’s so hard to keep moving forward. In this season of life when my literal load has lightened, I’m making a fierce commitment to keep my worries from weighing me down, slowing me down, and rendering me ineffective. The worries still pop up, perhaps more than ever before. 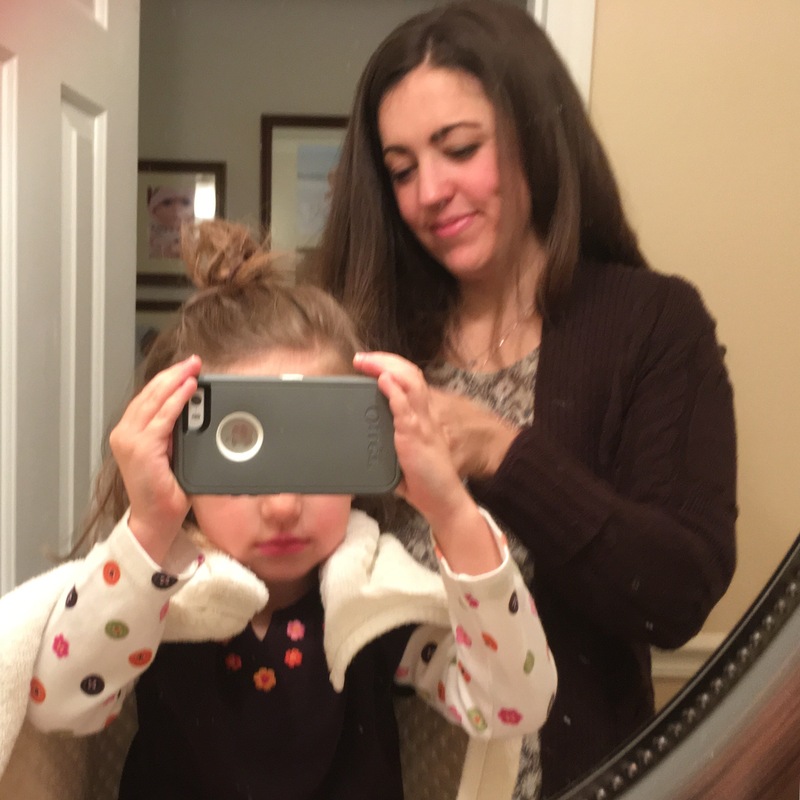 Sending your kid to school for the first time brings a laundry list of potential worries, and our family is on the horizon of some big changes which I could certainly spend plenty of time worrying about. 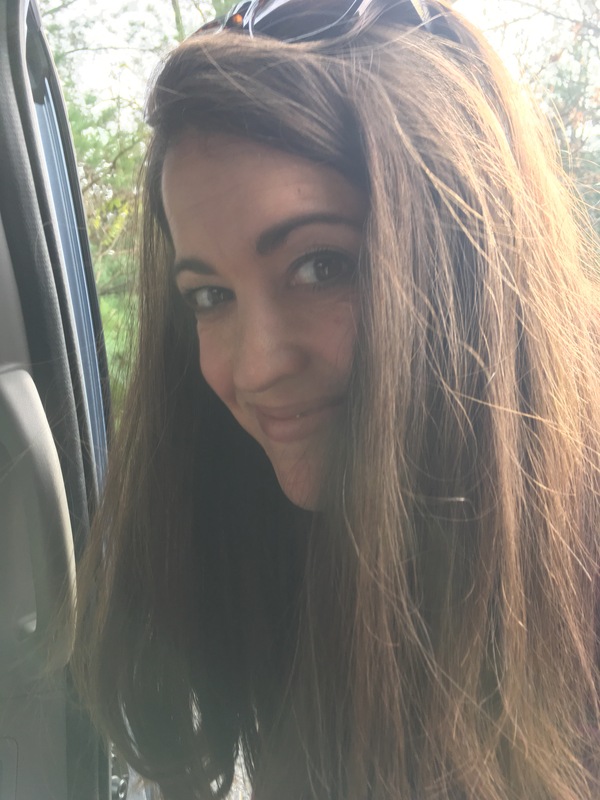 I have worries that pop up on behalf of loved ones, an endless list of what-if worries, and of course the typical mom worries that I’m doing some minuscule thing wrong and inadvertently messing up my kids for life. Yes, the worries still pop up. It’s just that I’m refusing to carry them. I’m saying no to pushing more than I need to push. I’m tossing those worries up in prayer, in a sort of one-way game of hot potato I’m playing with God. Over and over again, sometimes hundreds of times per day, those worries pop up and I’m tossing them up. May God give me the strength to keep doing it, and the wisdom to discern what’s mine to carry, and what’s His to hold. The blue hydrangeas are starting to bloom out back! These beauties were such a surprise gift to me, because they came out of nowhere. The first year we lived here, there were no blooms. To be honest, I didn’t even know there were supposed to be blooms. I was clueless about all things botanical. When I looked at the enormous mound of green leaves, I didn’t know I was looking at a hydrangea bush, so I couldn’t see what was missing. I was shocked when they appeared the next year—out of nowhere it seemed—because they were just so beautiful. And there were so many of them. I asked around about why they had suddenly bloomed, and I was told that some hydrangeas are cyclical. They’ll bloom for a certain number of seasons, and then they won’t bloom for a season. Then, it’s back to blooming again, and the cycle repeats. Perhaps the year without blooms had been an off-season. Others told me that while pruning is a good thing, certain types of hydrangeas won’t bloom for a while if you cut them back too far. So perhaps they’d been cut back too soon or too far and needed time to recover before they could bloom again. Now, admittedly, I don’t know if either of these theories are scientific facts. I do know, though, that we are like this. We have blooming seasons—when everything seems to be blossoming and thriving and going so well. Then, we have our off-seasons too. Times when it seems like not much is happening; times when life isn’t quite like we thought it would be; times when the blooms are noticeably… absent. 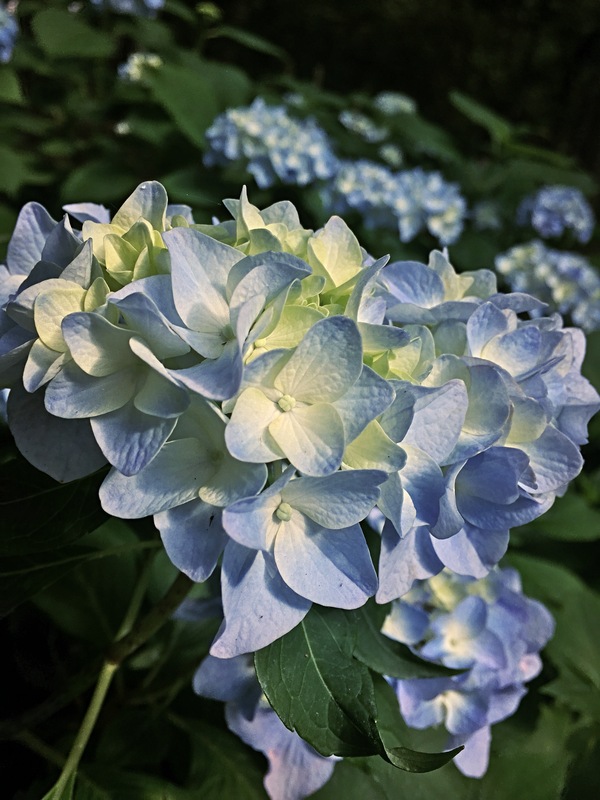 I would like to encourage you, if you’re in a season between the blooms, that a lot of preparation needs to take place before a hydrangea bush can bloom. There’s a lot happening beyond what we can see just by looking at the stems and leaves. There’s growth happening. Photosynthesis and all that stuff. Like I said, I’m not a botanist. The point is, the blooms don’t just appear out of nowhere. They come at the right time, in the right conditions, when the time of preparation and growth is complete. The season between the blooms is important. It’s perhaps the most important, actually. If you find your life between blooming seasons, let me encourage you to take your eyes off the noticeably absent blooms and instead, to lean into the preparation and growth that may be happening; to lean into the Lord as the One who makes all things grow and bloom. 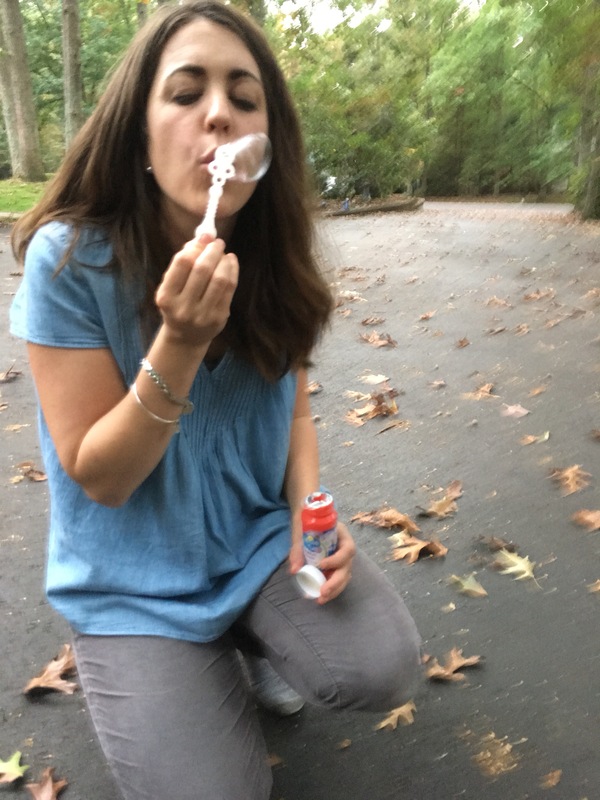 I’ve had this story in mind to share for a couple weeks now, but I’ve been putting it off, because sharing this story requires me to confess that sometimes I feed my kids Jell-O. I realize there’s very little nutritional value in Jell-O. It’s full of red dye number something-or-other and all sorts of terrible stuff. I think it might be gluten-free, or at least kind of gluten-free, for what it’s worth. Does that count for anything? No? Okay. Well, I tried. After three hundred “no’s” in the grocery store, once in a while you end up saying “yes” to Jell-O. You can’t win them all, I guess. Sometimes, if you look closely enough, you see Jesus in your Jell-O. I know what you’re thinking. You’re thinking—gee, perhaps this lady has had too much Jell-O—but stay with me. This isn’t one of those situations where the face of Jesus appeared in a carton of Jell-O. I can explain. Really. Allow me to set the scene for you. More screaming, more crying, and more pouting ensued. Then, after the longest time, there was an eery silence. I froze like a deer in the headlights, as if moving might make the tantrum erupt all over again. I’ll never forget the three little words I heard next. “What?” I asked, still leery and standing in my statue pose. Just like that, it was over. We had a quick little chat, then the kid ate some Jell-O and moved on to have a great day as if the whole ordeal never happened. Again and again, I have these moments when my kids open my eyes to why Jesus said we must become like little children. This is for sure one of those moments. In this scenario, my child felt wronged—really wronged—when I said, “No.” This child was extremely angry with me. I’ll bet, when in the throes of the tantrum, this child thought they’d never forgive me; that they’d be angry with me forever. Then this little one saw the truth, and realized that staying angry was only going to be self-destructive. It was only going to waste an otherwise perfectly good day. So this little child chose Jell-O, and just like that, all was forgiven. It was over, and it hasn’t been brought up since. I wonder if my little one even remembers what started the tantrum in the first place. What seemed monumental in the moment is now water under the bridge. As an adult, I have to admit I usually do remember why I feel wronged. I usually remember quite clearly why I’m angry. I tend to dwell on these transgressions for far too long. 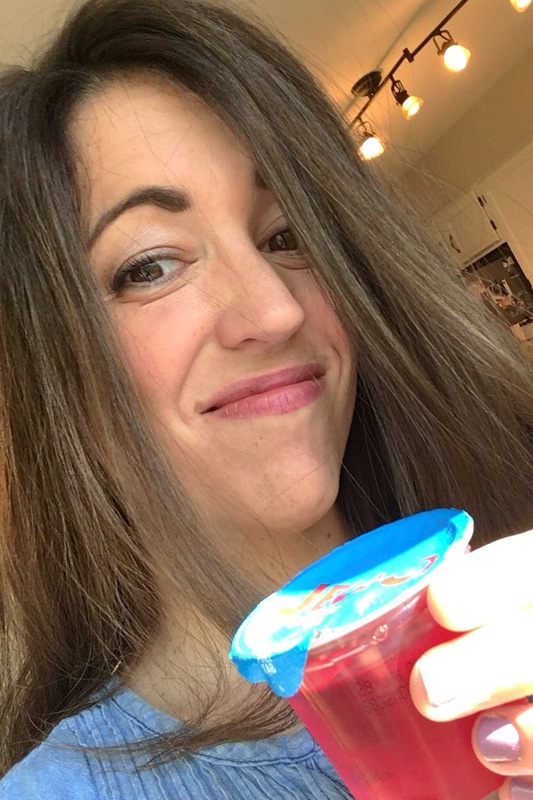 I have trouble making a deliberate choice to “choose Jell-O” and move on—and yet, that’s exactly what Jesus would have me to do with my anger. Jesus would have me “choose Jell-O” whether or not it’s deserved. I am called to forgive, because I was given undeserved forgiveness. Jesus would have me choose Jell-O over, and over, and over again. There is no limit to how many times I’m called to forgive. Jesus would have me choose Jell-O because choosing to hold on to anger will only serve to destroy me from the inside out. Choosing to stay angry will only waste my otherwise perfectly good days here on Earth. Jesus would have me choose Jell-O even when it comes to dealing with my enemy. Jesus would have me choose Jell-O because the biggest transgression I can imagine is still small in light of eternity. “I choose Jell-O.” It seems so simple, but sometimes the simplest things are the hardest of all. It’s hard to choose forgiveness on a regular basis, over and over again. It’s hard to let go of anger when I’m offended by critical words; it’s hard to let go of bitterness when I feel unappreciated; it’s hard to take a posture of forgiveness when I’ve been wronged. It’s hard work choosing Jell-O. It’s hard, but it’s so incredibly important. Thank you, Lord, for looking past my shortcomings and giving me undeserved mercy. Forgive me for the times when I’ve withheld mercy from others. Help me to stay alert and to reject Satan’s attempts to drag me toward anger and bitterness. Help me to overcome my pride and forgive often and quickly, just as you’ve forgiven me. Help me to “choose Jell-O.” I pray this in Jesus’ name. Amen. Of course, this is just a highly-paid stunt double, posing for what such a photo *might* look like. You can’t prove this is me. That could be anyone’s belly. Seriously though, it is me. Not pregnant. Just… lettin’ it all hang out. Taking a load off, if you will. My mother was right. I have got to work on my posture. Or, better yet, I have got to hide my phone from my five-year-old, who is a little obsessed with photography. She seizes any opportunity to snap pictures of anything and everything. She’s a sneaky one, and oftentimes she’s so quiet I have no idea she’s turning an ordinary moment into a full-on photography session. I’ve deleted countless photos of chairs, rocks, flowers, toys, bugs. You name it, I’ve deleted it. This belly-resting-on-the-counter photo is one in an infinite series of unflattering photos of myself, and it doesn’t even make the list of top ten worst photos. Not even close. For some reason, I seem to be her favorite photography subject. I’ll be honest, going through my phone and deleting her photos can be a real confidence killer sometimes. Her height and sneakiness make for some dangerously bad camera angles. Seeing these moments through her eyes makes me realize why she’s so intrigued with photographing me in my natural habitat. It’s because she thinks I’m beautiful. It’s because she doesn’t see a stretchy belly resting on the kitchen sink. She sees the pure comfort of being in the presence of her mama on a nothing-special kind of day. It’s because she doesn’t see the increasingly deep crow’s feet around my eyes. She sees the smiles which created them, and she’s especially fond of the smiles reserved for her. It’s because when she sees me get the box of hair dye which I now need to cover my grays, she watches me with great interest and talks about one day getting to be “fancy” just like mommy and cover her gray hairs, too. Kids think their moms are beautiful. They just do. I can remember thinking this about my own mom. Even in the early nineties, when she experimented with her hair and ended up with an orange perm (it was supposed to be blonde)… beautiful. I can remember sitting on her bed and watching her get dressed, seeing her fluff those orange curls and give herself a final check in the mirror before spraying on her perfume. I’m sure she might not have felt particularly beautiful some days, but I thought she was especially beautiful then. Even when she was in the last week of her battle with cancer and she sang the Doc McStuffins song with her grandchildren from her hospital bed, just so they’d feel a little better about being in such a scary place. Beautiful. Why is it that we can so easily see beauty when we look at our own mothers, and yet be so very hard on ourselves? In a world where we have instant access to everyone’s best moments, it is all too tempting to wonder if we’re measuring up. If we’re beautiful enough, patient enough, loving enough, fun enough, doing enough, there enough. Enough already! Enough with wondering if you’re enough. This Mother’s Day, I won’t get to see my own mother’s particular brand of beautiful, but—oh—I get to be that kind of beautiful to someone. Let me not waste or diminish it by lamenting over the belly-on-the-counter moments. Let me instead celebrate that even a moment like this is beautiful, and let me lean in close to the moms who are in the trenches with little ones this year and remind them that real-life happens without a filter. I want to remind you, my fellow mama, that your #nofilter moments are so much more beautiful than you realize. That there is no one who could ever take your place in your child’s eyes. That there’s no one on the planet who could compare to you. That you’re beautiful. And that the moments which feel the least beautiful are probably the most beautiful moments of all. Lastly, and most importantly, I want to remind you that the Creator of the Universe sees you like that, too. “Mariah Carey lied to us,” I said. “I can be your hero, baby?” she asked. We were sitting in a diner just after the sun came up. She had her hands wrapped around a coffee mug that was an exact replica of the one I drank out of countless times when I sat with my mother in the early morning hours. The diner served coffee out of totally random mugs. Mine was a freebie from some sort of medical office. The fact that hers was a carbon copy of my favorite mug from my mother’s cabinet gave me an indescribable feeling of comfort. It was a small but distinct reminder that God knows us personally and can orchestrate the most intricate details in our lives. We didn’t know each other very well, but we were already talking as old friends. She’d asked me to meet with her because she was going through something unimaginably difficult. She was counting on something to change, and she’d just confessed that if things didn’t change, she wasn’t sure she had the strength to go on. I empathized. And when I say I empathized, I don’t mean I nodded in understanding. I mean, I felt her pain—the real, raw pain of looking into the future and not knowing if you can physically withstand what you’re facing. I’ve felt like that before. That’s how we got to talking about heroes. I reminded her that she wasn’t operating on her own strength to get through this unimaginably difficult thing. Her own strength wasn’t going to cut it. She needed to cling to something much larger than herself. She needed God to show up in a big way and be her hero. So we prayed, then and there, for God to do just that. Her story is still unfolding, but I’ve had the joy of seeing her hero move a mountain for her already. I am hopefully expectant that He will continue to redeem her circumstances. I’ve been thinking about our conversation a lot, and I keep thinking of it as I interact with all sorts of women in my life who are dealing with incredibly difficult things—women who are working the nightshift and being fully-engaged moms during the day; women who are fighting for their marriages and aren’t sure if there’s anything left to fight for; women who’ve been abused and abandoned and left to pick up the pieces; women who’ve been ripped apart by a painful loss but still go to work and drive soccer carpool like always; women who seem just fine on the outside, but are battling loneliness or anxiety or depression. I’ve been thinking about all of these women, who—if they’re being honest—probably have times when they feel like they don’t have the strength to go on; times when they just want to quit. 2. Your story matters. I want to tell the woman who wants to quit that her story, even right now in the messiest part, matters very much. My friend at the diner is a beautiful example of this. Even as she’s been waiting for things in her life to get better, she has said “yes” to serving and helping others. That’s how I met her, in fact. We were serving together. I was amazed at how much God used this woman, even while she was hurting, to reach others through a selfless act of service. Right now, she is reaching others just by allowing me to share this story with you. You don’t have to be whole to make a big impact. You just have to be willing. Remember that we serve a God who fed five thousand people out of one little boy’s willingness to offer up his lunch. A little goes a long way. To the woman who wants to quit: please don’t. Your story matters, and it’s still unfolding. Look to God as your hero, and then look for Him in the everyday details, because He cares for you very much. Right down to your coffee mug. 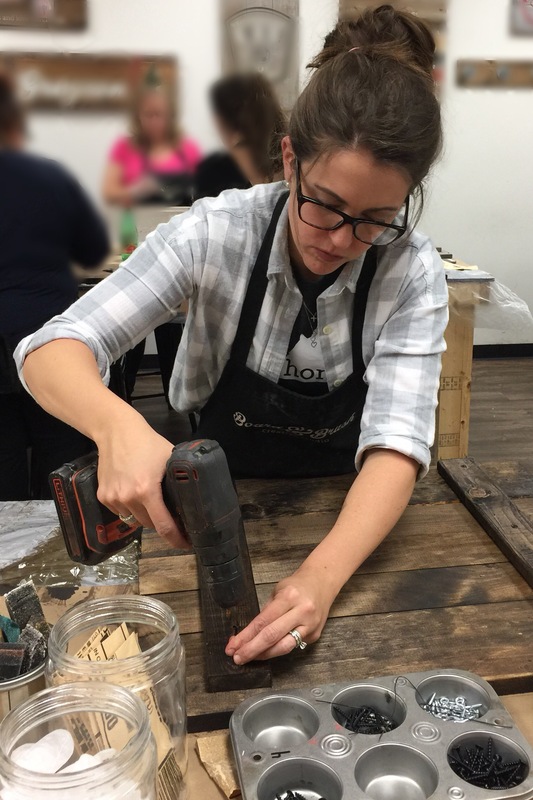 A while back I enjoyed a glorious mom’s night out at a local Board and Brush design studio. It was especially glorious because I got to use a power drill. See? I appreciate a good power drill. I also appreciate anything which involves seeing a task through from start to finish, because not many things in my life feel neatly finished these days. I caught a different perspective on beauty during this process. It was so counterintuitive, I couldn’t help but remember it. When arranging the boards to form a pallet, I learned to keep the wood ugly-side up. My natural inclination was to turn the boards over to hide any imperfections. 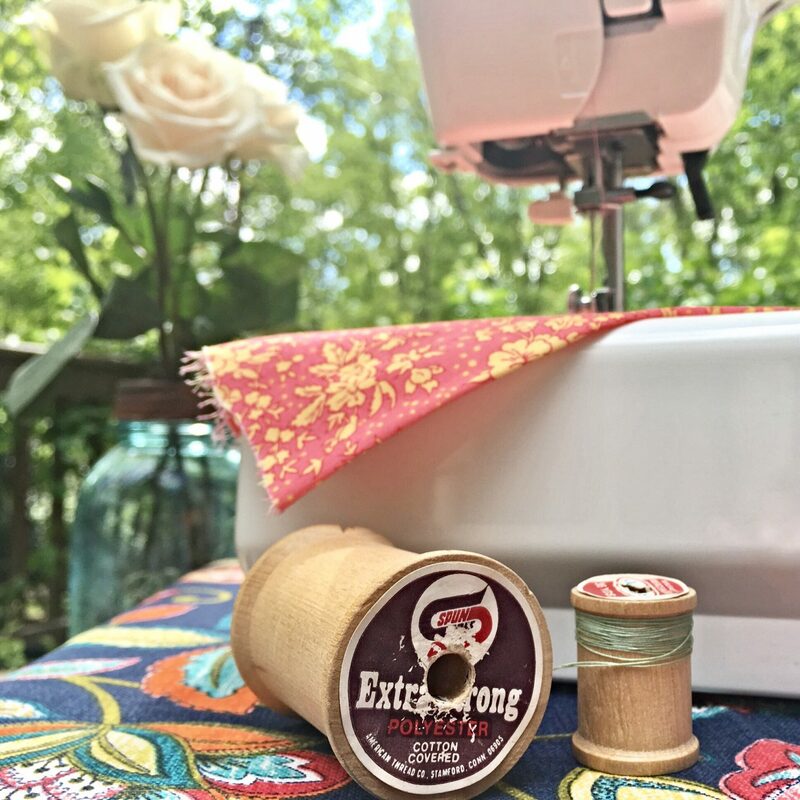 I learned, though, that the ugly parts of the wood—the nicks and dents and scratches and knots—were what made for the most beautiful finished products. I was skeptical at first, but willing to give it a try, so I turned my boards ugly-side up before drilling them together to make the pallet. Sure enough, with some sanding, staining, and painting, all those “ugly” places on the wood served to enhance the beauty of my completed project. This particular experience was months ago, but it came to mind again just the other day, when I found myself in a room surrounded by ugly-side up faces. When I say I was surrounded by ugly-side up faces, I do not mean that these people were ugly. I’m not saying that at all. What I mean is, many of these people were not concerned with hiding the pain, anger, hurt, and brokenness on their faces. Nor should they have been. I’m being purposely vague about where I was and why I was there, because it doesn’t matter. I’ll get right to the part that does matter. Though the room was packed, people weren’t looking at one another. Then a two-year-old entered the room, accompanied by his mother. He was lifted into a seat, and as the minutes passed, his little eyes filled with excitement. When he couldn’t contain himself any longer, he hopped down and began working the room. He walked right up to as many ugly-side up faces as time allowed, extending his hand and offering an enormous smile. One by one, I watched these ugly-side up faces turn absolutely beautiful. There were smiles and laughs. People began looking around and talking to others near them. It was amazing to see how this little child completely changed the atmosphere in this place. He didn’t take away anyone’s problems. He didn’t have the power to do that. He just showed up and fearlessly offered love. In doing this simple thing, he made the faces in this room beautiful. He broke down walls. He made it look so easy. I’ve been thinking about this kid ever since and kicking myself for not being more like him. I’ve been wondering what it would look like if I stopped avoiding ugly-side up faces and started boldly and genuinely and compassionately loving them instead. There is a good chance we will all encounter at least one ugly-side up face today. (Again, can’t clarify this enough – not ugly people, but people who act and present themselves in angry, hurtful, and otherwise “ugly” ways.) Perhaps the ugly-side up face you encounter will belong to a stranger. Or, perhaps you come across a particular ugly-side up face day after day, and you’re finding it really hard to see beyond those ugly places. What would be different if we saw every ugly-side up face not as something to fear, dismiss, or avoid, but as an opportunity to put in some effort to uncover something profoundly beautiful? I suppose if this child has the ability to completely change the atmosphere, then we all do. Something to remember as we step out into the world this morning.